It's been confirmed by Ubisoft that this title will actually arrive in the UK on 1st March, but in the other EMEA territories on 28th February. One title that was noticeably absent from the Wii U launch in Europe was the graphically stunning Rayman Legends. Back in October we reported that the highly anticipated game would miss the launch, instead being scheduled for an early 2013 release. Nintendo has confirmed - according to the Official Nintendo Magazine - that the Wii U exclusive will hit our shelves in the UK on 28th February next year. 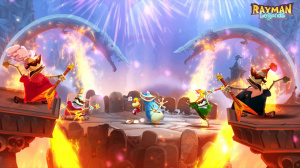 The game will take full advantage of the Wii U's features, using the GamePad to navigate Murphy and the Wii Remote is used to control Rayman. You can check out our hands-on with the game right here in the meantime. 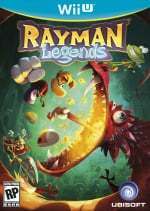 Rayman Legends is the second big-name Wii U title to release in the UK in February next year, with Scribblenauts Unlimited making its way to the console on the eighth day of the month. Are you looking forward to either of these titles? Hope they get the Demo released soon. Wasn't the US promised a Demo on launch? I played a demo of this last week at Game,and all I can say was it was bloody good. And I'm so glad we haven't got to wait forever for this. I'd buy this but I can't even beat Rayman Origins. I'm stuck on the underwater boss. @LEGEND_MARIOID Same as myself, I can't wait! Demo will be available on EU eshop on december 13th. Rayman Legends is my most anticipated game at the moment. I was gutted when this was delayed, I 100%'d Origins, and I'm nearly as proud of that as I am of my kids. Anyone know what EMEA territories are? Aren't the EMEA Territories like Norht America and such?